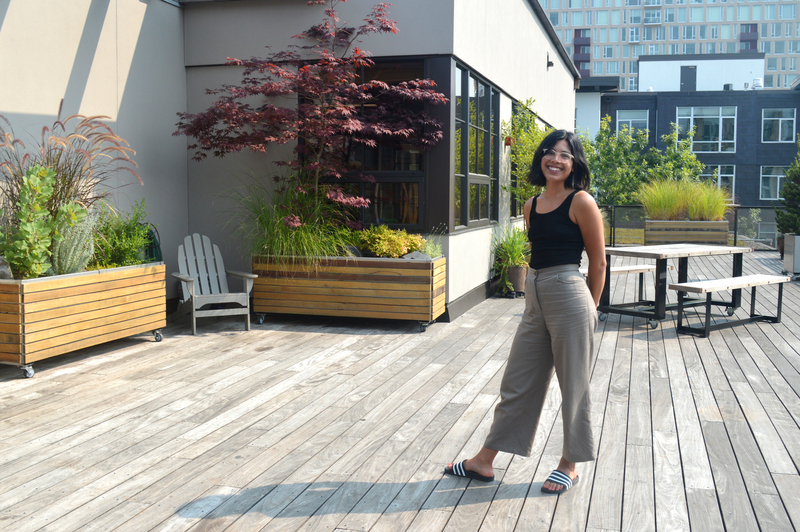 Meet Melanni, Pyramid's senior digital strategist. 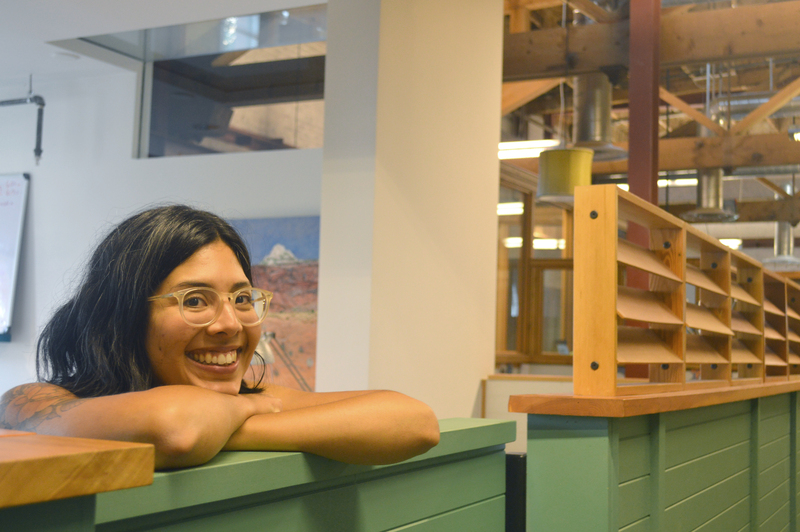 Thanks for sitting down with us for this month’s Pyramigo profile! So first off, how would you describe your role at Pyramid? I’m a senior digital strategist. I work across all of our issue areas providing recommendations and guidance on everything digital, from websites to social media, email marketing, and paid advertising. If you can read it or interact with it on your phone or computer, I’ve got my hands on it. Awesome. What were you doing before you landed at Pyramid? My background is in communications, both print and digital, specifically for political campaigns, nonprofits, and advocacy organizations. Before coming to Pyramid, I was the communications director at Our Oregon, a statewide coalition that runs legislative and ballot initiative campaigns, based here in Portland. We ran the legislative campaign to increase the statewide minimum wage, and we also ran Measure 97, which sought to improve the state’s education, health care, and senior services by increasing the corporate tax rate. Before Our Oregon, I spent a few years at an agency as a project manager and campaign planner, doing paid communications for political campaigns and advocacy organizations. Very interesting. How did this work lead you to Pyramid? After working on dozens of political campaigns over the last five-plus years (including five election cycles and two legislative sessions), and spending the last year and a half knee-deep in an Oregon ballot measure, I decided to branch out and learn more about digital’s role in the broader nonprofit and advocacy arena. Having spent the previous two years at a coalition-based organization, I know that there are countless community organizations out there doing incredible work. Post-election, I was inspired to get involved in the way I know best, and use my communications chops to amplify the great work that’s being done in communities across the country. The issue areas and clients that Pyramid works with felt like the perfect place for me to do exactly that. We are super lucky to have you! How did your interests and studies lead you to working in this field? I studied sociology and communications, simply because they interested me—I didn’t have plans on how to forge a career out of the two. But it happened! After finishing college, I got a temporary job managing direct mail for political campaigns. I wasn’t exactly politically active at the time, and I especially didn’t know much about Portland- or Oregon-specific politics, but it was an invaluable learning experience that launched my career in communications. I went from managing direct mail to helping grow that agency’s digital team to leading communications at a statewide organization that runs legislative and ballot initiative campaigns. As someone with training in both sociology and communications, I love how clearly the two fit together—and I especially love the platform for making real change happen that’s made possible by the intersection of the two. Side note: Not until this moment did I realize I’m one of those people whose field of undergrad study is actually applicable to their career. You were saying you helped build that agency’s digital team. How did you see digital’s role in campaigns change over the span of time you were there? It changed so much. Much of what we did at the first agency I worked at was traditional media—direct mail, billboards ... That’s what I worked on when I first joined the team. But after the 2012 election cycle—specifically Obama’s second campaign—there was a lot more interest in digital. Not only did we, the consultants, realize how much potential there was (like fine-tuning audience targeting, expanding reach, or being really nimble with creative, all things that were more costly or simply not possible with traditional media), but our clients started to see that potential, too. It did take a bit of time to get clients on board with trusting “new” media, and shifting how they prioritized their media buys, which was understandable. For decades, the go-tos had been TV, radio, print. But as people’s behaviors started to shift, they began to see that communications approaches should shift, too. Even when I was at Our Oregon, a lot of what I did, especially in the beginning, was overhaul and modernize the organization’s communications infrastructure, and help some of our coalition partners do the same. I’m curious, when you are working on a campaign or project, as a digital strategist, what is the first thing you ask clients before you get started? You always ask what the ultimate goal is. Over the years, I’ve found that clients will come to you and say, “We need digital! We need a social media plan, we need you to make our campaign go viral, etc.” But not everyone needs those things! It all depends on the goal—and of course, capacity and resources. If your goal is to raise awareness or to get more eyeballs on your content, the approach might be different than if your goal is to build a list of active supporters, or to put pressure on a lawmaker. Not only do you need to have clarity on what success looks like, but you need to have a grasp on your audiences. Who are they, and what are the best ways to reach them? It’s also important to know what assets are available for use, whether it’s partners to be leveraged, email lists to hit, phone numbers to text, or multiple websites to modify. And, last but not least, you need to be honest about the capacity to get the work done—what does that look like in terms of available resources or people power? There really is no one-size-fits-all approach to a digital campaign. The more information we can get up front, the more solid a plan we can put together and enact. As you think about the opportunities and challenges facing nonprofits and social good causes, what stands out to you? Well, the landscape feels as though it’s shifted dramatically—people are recognizing the roles they can play in supporting the causes they care about. People are inspired and motivated to get involved, take action, volunteer or donate to the issues that matter to them … and nonprofits and other mission-driven organizations should tap into this exciting moment! Plus, digital tools can make it relatively easy to reach these new audiences and truly engage with them. Once you’ve got your constituent lists built, things like list segmenting, automated email campaigns, texting platforms, an array of social media platforms—and new features within them—these tools are all there to help make communications easier and more dynamic. On the flip side, I know that capacity strain and competition for attention are real issues for nonprofits. Organizations need to be stronger, more nimble, and more creative in order to get their messages heard amidst all of the chatter. So, what is a typical day at Pyramid like? Every single day is different, from the start of my workday to the end! I like to mix it up, so if it’s not raining, I might walk, take the streetcar, or take the bus to the office. Some days are full of Skype meetings, other days the small Portland crew might have a walking meeting or sit up on our roof for some fresh air. The best days are the days when my favorite office dog pops in for a visit. As for work, because I work across issue areas, not only does the issue or subject matter vary, but so does the scale of each project I might be working on. Plus, “digital” is a broad term that covers so many different things. At any point I might be working on a digital media landscape assessment, a website audit, or an audit of a client's social media activity. I might be drafting a digital communications plan, helping develop editorial content, helping with a client’s email marketing program, or running a small digital ad campaign. It really varies. What do you love most about working at Pyramid? I love getting to flex my communications muscles for a variety of causes! Getting to work across issue areas, and for clients in the Pacific Northwest and beyond, means I get to learn about important work that’s being done in so many areas. From special elections on a Montana Indian reservation to initiatives geared at helping low-income and students of color succeed in college, I love that I get to help organizations accomplish important goals. What are issue areas that you are really excited to do more work in? Given my background, it’s probably not a surprise that I’m most excited about client work that is directly tied to legislative policy, or has clear, positive implications for the communities our clients serve. What do you do when you are not at Pyramid? I spend a lot of time with my buddies. It feels impossible to narrow it down, but if I could sum it up I’d say the highlights include music (sharing it, dancing to it, seeing people perform it), going out to eat, and laughing, a lot. I also make a lot of lists—I’ve definitely got lists of all the music I’m listening to, the Portland restaurants I want to check out, and other projects I want to start. I get my news almost exclusively from email digests: Every morning I read the New York Times Morning Briefing, and I also check out The LA Times Essential California newsletter, the Jezebel Newsletter, and The Cut’s newsletter. And I spend the week making my way through the Sunday Times. Pretty highbrow/lowbrow. What is one digital tool you’re excited to see clients use in the future? I’m really intrigued by the IoT (internet of things). A lot of big brands are already integrating IoT into their marketing strategies. While nonprofits may not be using Alexa or Echo anytime soon, chatbots might be a way to ease into a tool like that. Want to connect with Melanni? Email her at mrosales@pyramidcommunications.com and say hello!